By Simon Brown, May 27, 2008 in Plugins - Publishing ONLY! An often-requested feature now included in Popular Feature Requests is the ability to re-edit text. This plugin is an alternative text-tool that includes that feature. It works by using Steganography to store the details of the text in the text layer. To add text to an image, create a new layer and click Effects -> Tools -> Editable Text. Then enter the text and text style. To edit the text, simply run the plugin again. Do not make any changes to that layer apart from layer properties and editing the text with this plugin. Nice work pal great plugin. This will be really handy. [*:3jyt8up1]It seems like you're only using the B channel instead of all R, G, and B. [*:3jyt8up1]Why is the alpha set to 2 instead of 0? [*:3jyt8up1]I get a weird dark border with light colored text. It seems like you're only using the B channel instead of all R, G, and B.
I guess I should look at that - I probably based the whole encoding on the index data - which would need to have a higher range. Why is the alpha set to 2 instead of 0? Unnecessary on second-thought - it is basically how the application determine whether a pixel was a code pixel when the pixels were placed in random positions on the vertical axis. I get a weird dark border with light colored text. I have no idea how to solve that - my plugin simply passes the size value to the new Font() method. As I have said, this plugin is still in beta and I will fix those issues when I have time. nice work! This plugin may someday be integrated into Paint.NET! but is re-editable text part of your project of major re-plumbing of Paint.Net code Rick? I must say, this could prove to be very useful. Thanks Sabrown! He's taking v4.0 and pluginifying everything. 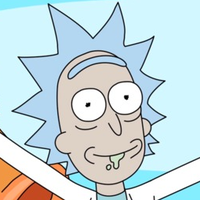 What are you trying to do, become Rick? Keep going! If you include AA, I'll download for sure. Until then, no way! this is really cool...would a plugin that allows you to re-edit shapes similar to this one? This is amazing! Nice work, like other people were saying though, It would be better if you chould choose an anti-aliasing option. Thanks for the great plugin! 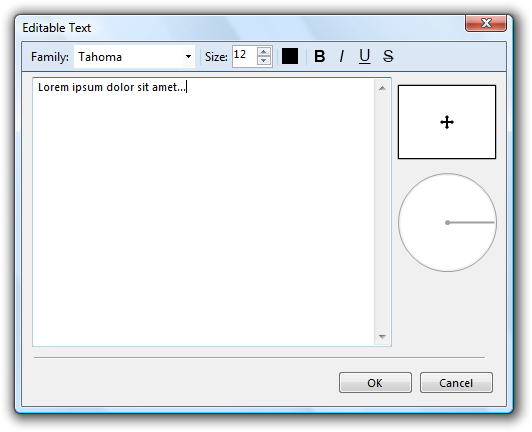 I have downloaded the plugin for editable text in paintnet and the tools option does not appear. Any suggestions? Effects -> Tools -> Re-Editable text. is that right or should it be in another location. Because it takes too long to open and to respond to the text edits. Still, when I try to use it it does not show before sometime, and it sort of "hangs". Paint.net is fine, it just happens with the plug-in. Is it compatible with version 3.36? Updated with AA support, angles and a better positioning tool.